Southampton chairman Nicola Cortese has cancelled clear-the-air talks with club legend Matthew Le Tissier, claiming he broke a privacy agreement. Le Tissier, who was critical of the decision to sack manager Nigel Adkins, had called for a meeting with Cortese. And the former forward, who played 541 games for the club, later publicly revealed talks had been scheduled. "It is now not possible for a meeting to take place in good faith," said a Southampton statement. "Both parties had agreed that it would be a private meeting with no publicity surrounding it, yet within 24 hours this matter was put in the public domain and further negative comments attributed to Mr Le Tissier have appeared this morning (Wednesday)." 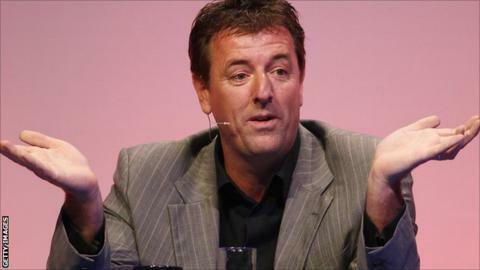 In response, Le Tissier tweeted "meeting with our wonderful executive chairman cancelled - surprise surprise". The ex-England international has long been critical of Cortese's regime, in the past accusing the Swiss-Italian of having an "ego problem" and describing him as "not a very nice person". Following the latest developments, Southampton say there will be no meeting and the matter is now closed. "As an ex-player, Mr Le Tissier's achievements are well known," continued the statement. "However, his repeated criticisms over a prolonged period of time are not justified and have not merited any response from the club. Nor has the motive for these personal attacks ever been made entirely clear. "Mr Cortese wishes to reiterate that he will not make comment about somebody he does not know personally - and that includes Mr Le Tissier. "These criticisms have not affected the club's success and progress on or off the pitch in recent years and will not divert the club from its course in the future. "For Mr Le Tissier to agree to meet 'in good faith' and then make such comments can only be seen as a breach of good faith and certainly not in the best interests of the club. "We would nevertheless encourage Mr Le Tissier to join with our fans and continue to enjoy the success the club has achieved over the last three and a half years."